Home » Backyard Living » Growing Seeds, Winter Sowing, in Milk Jugs and Kitty Litter Jugs. Roger Higgins explains how to make mini greenhouses for sowing seeds. Meet Roger Higgins from Roger’s Backyard Nursery in Cranesville, Pa. Every one of those plastic jugs next to Roger contains seeds. Some are perennial seeds, some might be Dogwood Seeds, maybe some Japanese maple seeds. Some of the jugs are milk jugs, the bigger jugs are kitty litter jugs. If you look closely Roger has each jug numbered and he has a record in the house of what’s in each jug. Pretty organized right? Roger Higgins and Duston McGroarty discuss growing seeds in the rain. In our recent trip to Roger’s nursery Duston and I shot several videos that day with Roger. It was raining and at times pretty much pouring. Duston was shooting the videos with an I-pad and we didn’t want the device to get soaked so Roger went in and got Duston this cute umbrella. To protect the device of course! Roger and I got soaked, I was taking stills with my phone and it got soaked. But we had a good time as you’ll see in the videos as I post them. And we captured a lot of great information. Roger will tell you that he is a machinist by trade and knew little about growing plants until he found https://mikesbackyardnursery.com/. But I have to tell you, Roger has been an awesome student and he has the coolest backyard nursery ever, and he sells a lot of plants out of his backyard in the rural community of Cranesville, Pa. And he’s a nice guy! 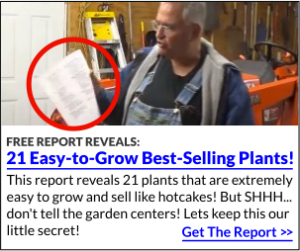 Be sure to watch the video as Roger and I discuss how he grows these seeds and he explains how he makes these little greenhouses out of plastic jugs. Roger is an innovator and he found a way to improve upon a method that has been around for a long time. In the video you can see how wet we are! Thanks Roger for allowing us to invade your backyard and tell Venice that a little rain won’t hurt her. She stayed in the house! However, I’ll bet during plant selling season she gets plenty wet on rainy days while she tends to selling plants when Roger is at work. Great people both of them! Love having them as Members. Me swapping spit with a donkey? Love the idea of milk jugs. Do the jugs have to be white? I wonder weather this method would work here. Some seeds need really cold to germinate and it would not be good to protect them (at least not in my climate were the temperature rarely drops under 5 below freezing) I wonder which seeds would like the cozy atmosphere and which would like it a bit colder. The good thing about the jugs is that the light is somewhat filtered I literally cooked some seeds with an old window pane…. Great info Mike. Thanks a bunch! will this home made green house work with starting vegetable seedlings as well? It will, but I’d the veggies inside where it’s warm and not let them freeze. My Lentin Rose seeds are starting to come up around it last year . I recall u saying something about how hard it is to start from them from seed. I didn’t touch them. This year they r a little taller plus I have lots of new starts coming up again this year. coming up in all kinds of places in my shade Garden. I never knew Hosta’s would multiply a few feet from the original ones. I need to move the ones that have started coming up this yr. This will be their 3rd yr. I would appreciate any advice u can give me. You can transplant some of the roses now, especially if they haven’t leafed out yet. If they do have leaves just be careful to loosen the soil so as to not break any roots as you move them. Hosta can actually be transplanted, even divided later in the spring once they finish that spring flush of new growth. Just cut the tops back as they will wilt down any way. But let them flush out with new growth first, allow that growth to harden off for a few weeks, then you can move them. I’ve been using the winter sowing method for a few years now, and I also use twist ties to close the jugs. I think any video on winter sowing should mention Trudie Davidoff who pioneered the method. I agree and since I’ve never really researched it I was unaware of who pioneered the method so thanks for sharing this information. I paid over $400 for a life time membership in Backyard Growers. I am trying to log in and can’t. I tried to reset pass word and can’t I get no response from Mike. I’m sorry you are having a problem, I sent your info to Duston in the office, he will get you straightened out. If not tonight, for sure in the morning. Be sure to check your spam folder to make sure his messages are not going to spam. He checks our email several times a day. When does he sow and when does he transplant? Some things like Japanese maples and dogwood seeds are sown in the fall, perennial seeds later in the winter. I’ll see if I can get more detail about that from Roger. I do most of my perennial seeds starting about mid December and do some all through winter. When they start isn’t as important. They are dormant all winter just like in nature. The wet helps break down any hinderance for germination and that starts once it warms up. They can be transplante as soon as they starty getting their real set of leaves. No hardening off is necessary with this method. Great info Roger, thank you for helping out here. Inspiring, Roger! Love to see how others do this. I’ll be copying you this coming winter for sure! Good luck Marta. Just make sure there are plenty of drainage holes in the bottom. 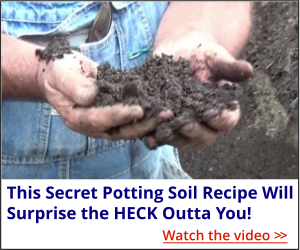 I just use cheap bagged potting soil in the jugs. Don’t waste money on sterile soil because you will get some weeds in the jugs. I have even used old potting soil from potted annuals that I dumped. My grandfather would have loved this. He specialized in trees. He would cut away the corner opposite of the handle and plant trees and seeds in them. He must have had at least a 1000 or more in his back yard! Thank you for the walk down Memory Lane! Great idea, I think this would work particularly well here in the dry southwest as it would contain needed moisture. My question is, how do you transplant these seedlings so that they can be placed in containers for sale? Thanks for the always valuable information! Once they are big enough and hardy enough to transplant you can slip the whole jug full out on to a bench the slowly work them apart. Or prick them out when smaller and transplant into small cell packs. You may need to use the lid to keep moisture in the jug and actually water them if you don’t get raiin. This method relys on nature’s watering system. Alfred, it’s been a crazy winter, that’s up with the daffodils, but the pachysandra? Not sure. All I can say is give it some time and see how it looks in a few weeks.